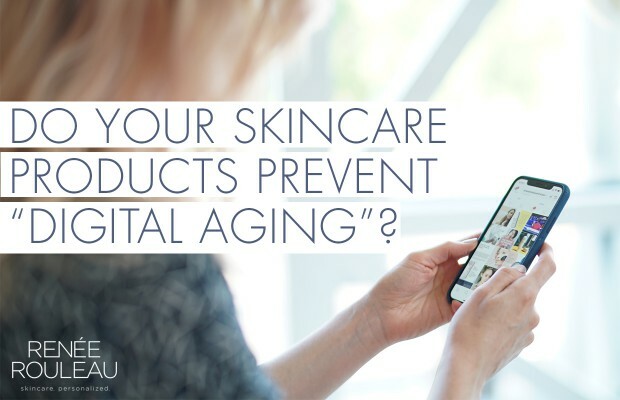 Ever skincare ingredient used in a product has a purpose and the latest ones are being used to target “digital aging.” This is when skin damage is caused by a high energy visible light (known as blue light) from our phones and computer screens. This blue light is penetrating deep into the skin, making the skin age faster. For your at-home daily skin routine, you should be using certain skincare ingredients to prevent this blue light damage caused by your phone. 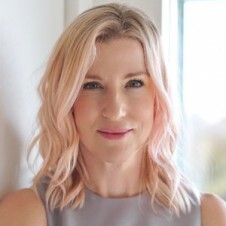 In this post, I’ll discuss the effects of blue light on the skin and share skincare ingredients to use that can make a big difference. Blue light irradiation negatively affects all skin layers. induce oxidative stress, via both reactive oxygen species (ROS) and reactive nitrogen species (RNS) leading to damaged proteins and lipids. Blue light does not seem to create reactive carbonyl species (RCS). The best skincare ingredients to prevent blue light damage from your phone are antioxidants. To lessen the damage caused by blue light, you’ll want to use skincare ingredients in your products that use both direct and indirect antioxidants. What are antioxidants? They are members of a complicated biological system that defend the body against increased production of free radicals caused from blue light as well as from the air we breathe (oxygen), cigarette smoke, UV sunlight, stress, and smog. 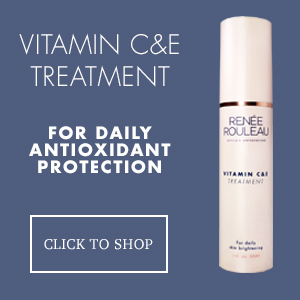 It’s important to understand the complexity of our skin cell’s antioxidant protection needs. Using just one antioxidant simply cannot control the many forms of ROS and RNS given off from blue light. A variety of antioxidants are needed in your skincare products. These should complement each other’s actions to ensure that as many free radical families as possible are neutralized. This is essential for a comprehensive skincare strategy, especially one that is focused on preventing the signs of aging. Antioxidants should be used both morning and night. The main stressors that create free radical damage were always thought to be caused during daytime hours from sun and pollution. 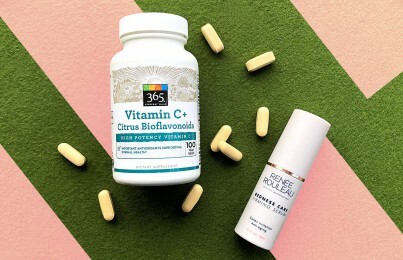 (This is why you’ve been using a vitamin C serum under your sunscreen in the morning.) Thanks to new research, we now realize that the skin’s natural antioxidant supply gets depleted during the day and needs to be replenished at night. Additionally, with the way many people are looking at their phone screens well into the wee hours, this means antioxidants should be included in a nighttime skin routine. A product I suggest for nighttime use is Firm + Repair Overnight Serum because it has powerful superfruits and superfoods to help to manage all types of oxidative stress. While you sleep, it’s refueling your skin with a variety of antioxidants along with visibly improving firmness. 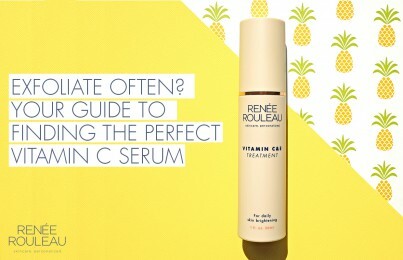 A product I suggest for daytime use is Vitamin C&E Treatment. It loads the skin up with antioxidants while keeping melanin cells suppressed to fade discoloration from sun spots and post-breakout marks. 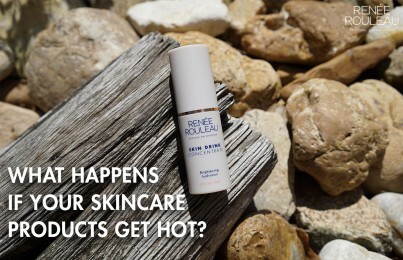 For even better results, consider using a moisturizer with antioxidants like Hydraboost Rescue Creme. Shield your skin from blue light with a screen protector. Consider getting a special filter to lay on the screen of your phone to filter out many of the blue light rays. I have one on my own phone. It’s an easy, low-cost way to prevent premature skin aging. Eat a diet rich in antioxidants. The following foods will fuel your body from the inside out. In summary, technology is intended to make our lives easier, but it can have side effects on the skin. Mobile devices have brought us “tech neck” which are the horizontal folds across the neck from looking down at our phones. Laptop computers created “toasted skin syndrome” which is a burning reaction that results in discoloration of the skin from the heat of a computer resting on the thighs. Now, blue light is given off from tech devices, screens and LED lamps and is damaging the skin. With the right skincare ingredients, you can keep the damage under control. Hope you found this post helpful! 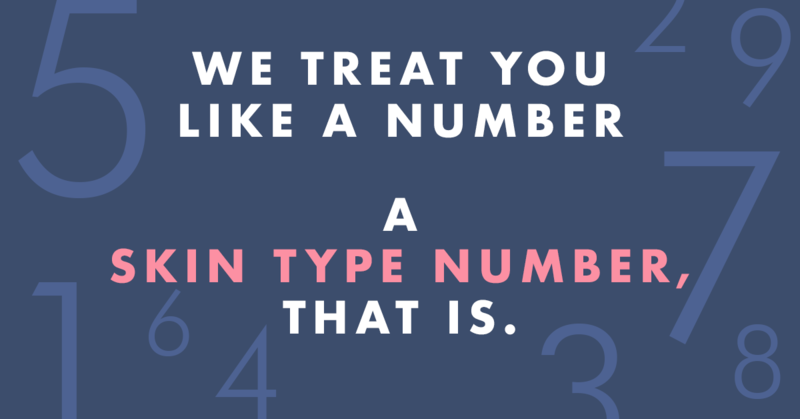 If you want to learn more about caring for your skin, read 10 skincare rules I swear by.